Imogen's Typewriter. : Website Review: Playster! I don't have a local library, so whenever I hear people reply to; 'I wish there was a Netflix for books' with 'There is, it's called the library' I'm forever unimpressed. Not only that- Netflix is online. You've basically just compared Netflix to Blockbuster. Not that I don't love libraries, I just don't have one. 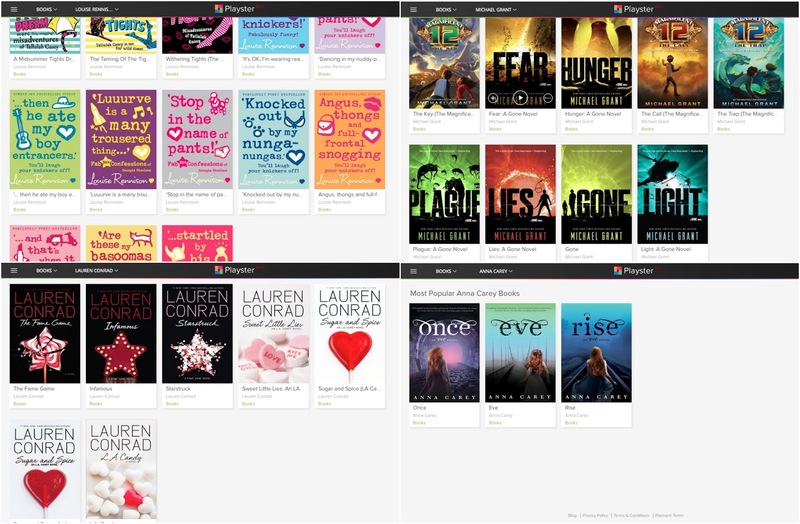 So when I was approached about Playster, I finally found a Netflix alternative for books. So let's start by explaining what exactly Playster is. 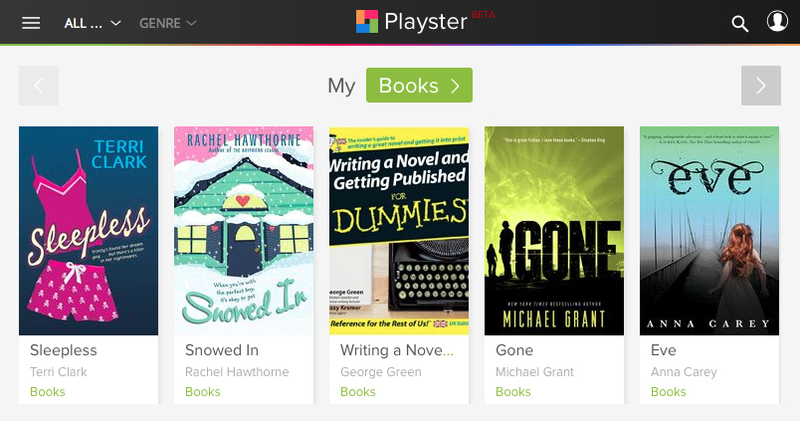 Playster is a website, currently being developed in Beta, that has a wide selection of books, movies, music and games that members can view online. You can try it out with a free trial month, so you can access their selection and see if they have anything that interests you, and membership costs £5.50 a month after that. I'm going to focus on the book section in this review. I had a good browse and found some really interesting books in the selection. They have the entire Georgia Nicoleson series by Louise Rennison I read last year (my review is here). The entire Gone series by Michael Grant that I'm currently reading and is my best friends favourite series. The Lauren Conrad books I see all the time on blogs. And the Eve series by Anna Carey I've been eying for a while. Unfortunately finding the books isn't easy, there's a search if you know what you're looking for and vague genres- Mystery, Classics, YA, Fantasy, Non-Fiction, etc. but browsing could do with some streamlining. There is a 'because you read' recommendation feature but the accuracy leaves a little to be desired. Hopefully this will be more sophisticated in time because reading a YA book about adults disappearing doesn't really correlate to an interest in American Sniper in my opinion! It has a 'My Library' function where you can collect up books, movies, music, and games you want to save for later. A handy function, especially when going from computer to phone or tablet. These are a few of my top choices. Overall, I think Playster has a lot of potential and once the app comes out, they sort out an offline way of reading and they have a few more deals with more publishers, I can see it becoming a thing. Obviously this isn't Kindle Unlimited, but it's very reasonably priced with a free month and £2.49 cheaper. So if you read a good amount and have an interest in a lot of the books on there, you could save a fair bit and buy yourself a fancy coffee to drink while you read. You can check out Playster here! Would you be interested in a site like Playster? *Playster sponsored this review and kindly let me check out Playster for free. This hasn't changed my opinion and I'm honest as always.